The Harlem PAL Showstoppers have been dancing together for the past year, practicing after school every day and helping to choreograph their own routines. 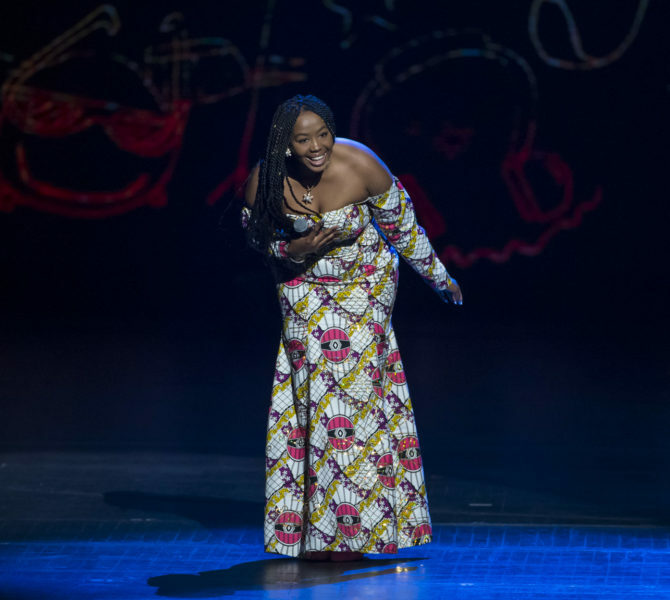 Performing to "Soldiers of Dance" at the Talent Show, the group received valuable feedback from celebrity mentors, including Caleb McLaughlin from Stranger Things and Christian Navarro from 13 Reasons Why, while preparing for the Great Stage. In June for Garden of Dreams Night at the Liberty game, the Harlem PAL Showstoppers brought the crowd to their feet with their performance at halftime. 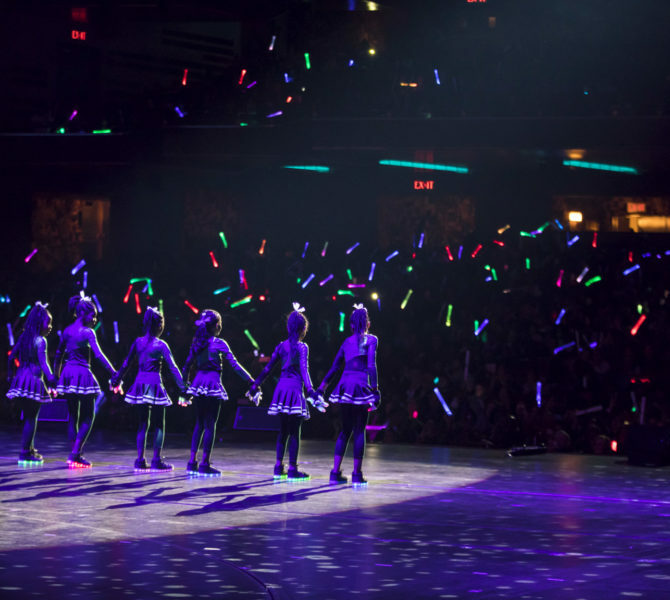 The girls hope to have careers as professional dancers, gymnasts or makeup artists. 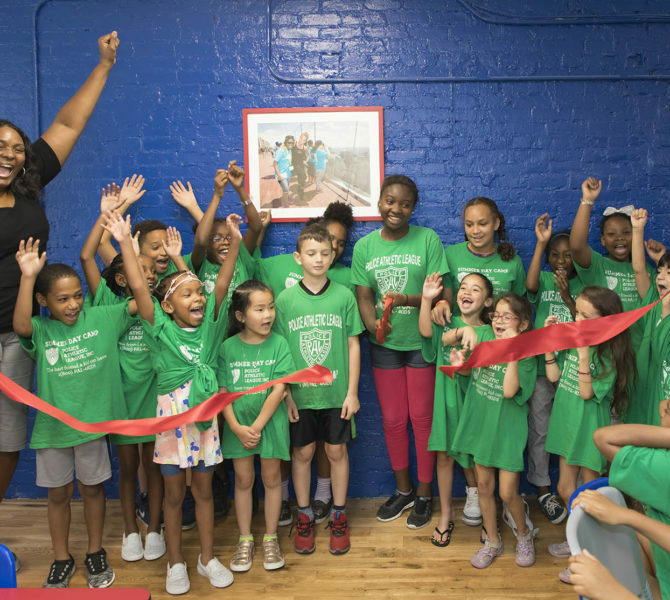 The Garden of Dreams Foundation's Giving Program unveiled a newly renovated Police Athletic League William J. Duncan Center. This center will serve kids during the school year and throughout the summer. The renovation includes a new technology lab, multi purpose room and arts center. 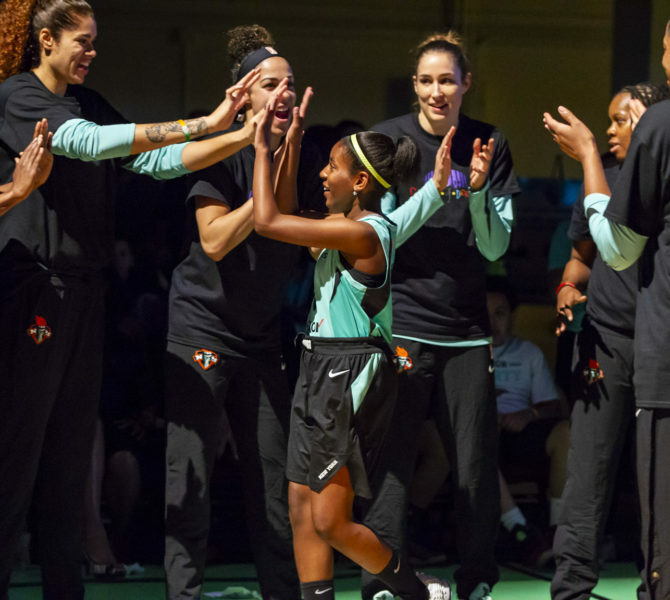 New York Liberty alumna Kym Hampton helped celebrate this incredible renovation. The Police Athletic League youth will be able to enjoy this space for years to come! Alexsa has been singing her whole life. She enjoys sharing her talent with others and has recently learned to play the ukelele. Whenever she sings, Alexsa wants to spread the message of being true to yourself. 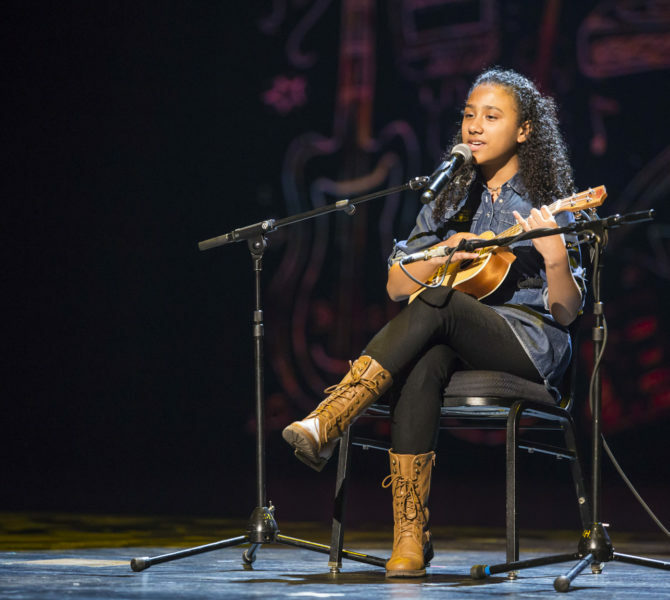 During the Garden of Dreams Talent Show, Alexsa sang and played the ukelele to "Riptide" by Vance Joy. While preparing for the Talent Show, Alexsa received special advice from musician Grace VanderWaal. Also playing the ukelele, Grace was able to help Alexsa get ready for her performance on the Great Stage at Radio City! Maxim, who started taking vocal lessons after a recommendation from his physical therapist, enjoys singing and playing the piano. Maxim's favorite thing to do is travel with his family and he has had several opportunities to sing abroad including in the Dominican Republic and Canada. 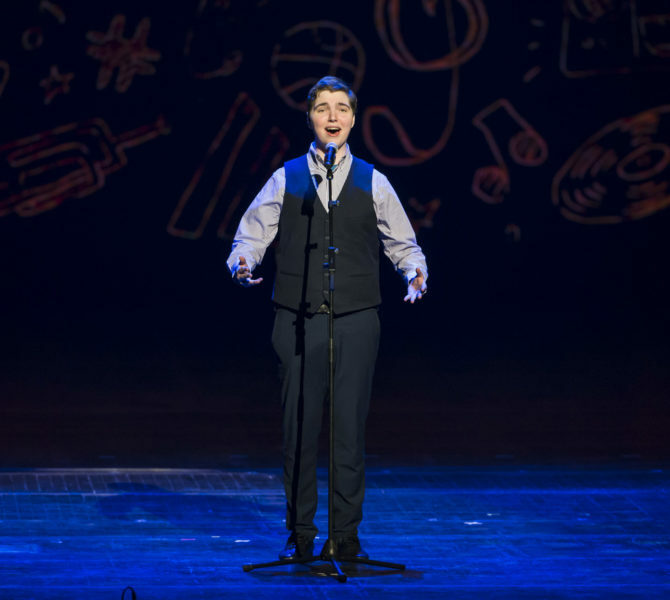 From Garden of Dreams partner organization Hospital for Special Surgery, Maxim performed "Somewhere Over the Rainbow" in this year's Talent Show at Radio City Music Hall. The members of Divercity Dancers consider one another family. Whenever someone in the group is dealing with a hardship, they have each other and dance to help get them through. Even though their aspirations vary from dancers and singers to doctors and attorneys, the members know their love of dance will help them achieve their goals. Participating in a community theater, Andrew started acting when he was five years old. Currently, Andrew, from Maria Fareri Children’s Hospital, is involved in his high school’s theater program. During his Talent Show experience, Andrew received a special surprise when Hamilton and Broadway star, Christopher Jackson, called Andrew wishing him good luck before the show. Besides being an incredible performer in the Talent Show, Andrew recently attended the Tony Awards at Radio City Music Hall. Performing “Proud of Your Boy” from Aladdin on the Great Stage, Andrew hopes to pursue a career in acting! Dancing has always played an important part in Samantha's life and accounts for some of her most cherished memories. 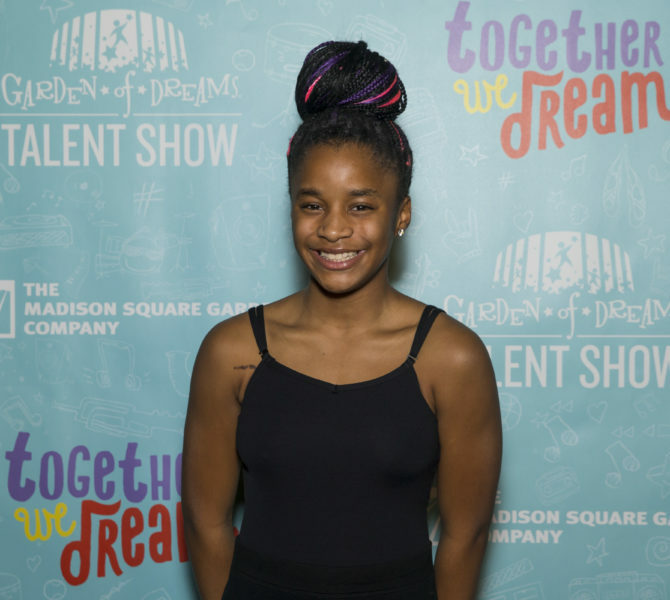 At five years old, Samantha, from Garden of Dreams partner organization NYPD Widows' and Children's Fund, started dancing by creating her own routines. Samantha and her sister, Alexis, have been part of the Garden of Dreams family since 2013. This past March, Samantha performed to "Million Reasons" by Lady Gaga in the Garden of Dreams Talent Show at Radio City. In the future, Samantha wants to pursue psychology so that she can help others cope with their feelings. 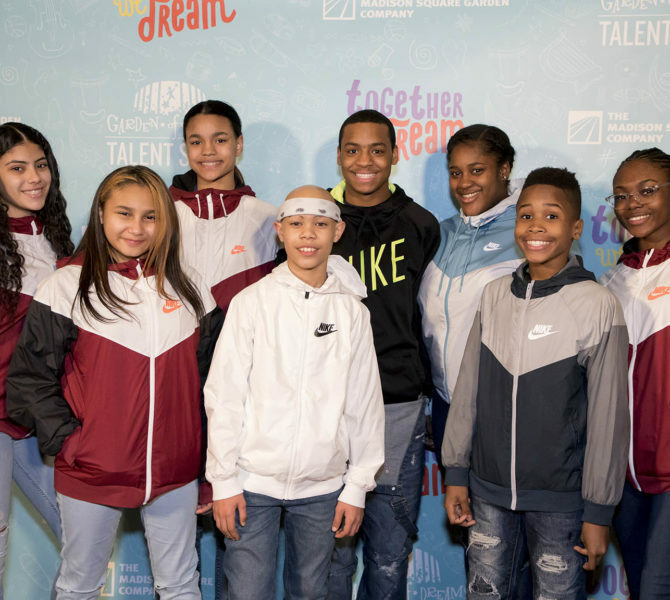 The New York Liberty welcomed over 50 Garden of Dreams children and their families to Garden of Dreams Night on Wednesday, June 13. The Westchester County Center was filled with talented performers, star players, and a lively fan base that packed the stands. Over the past ten years, Garden of Dreams has brightened the lives of more than 350,000 children who are facing obstacles. 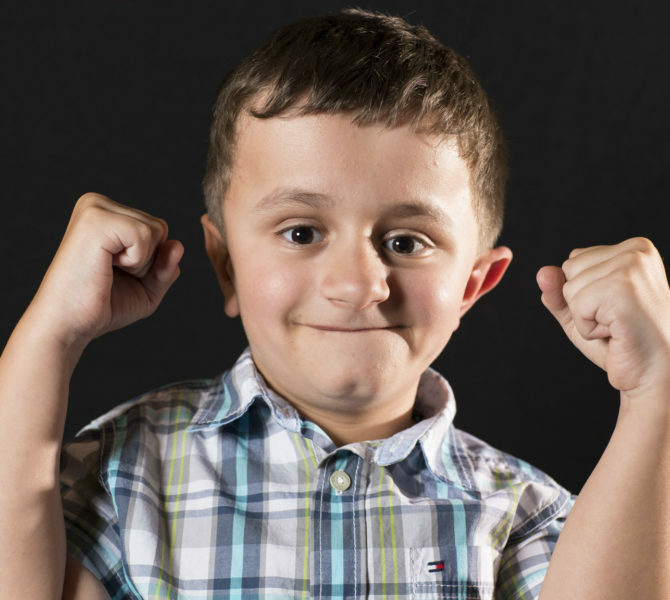 Read about some of the amazing children who have become part of our Garden of Dreams family.